Bruce Kingsbury is a conservation biologist and herpetologist. He is an expert on a variety of wildlife, especially imperiled reptiles. He directs the Environmental Resources Center at Purdue University Fort Wayne, and is also Associate Dean of the College of Arts and Sciences, and deeply involved in faculty and program development in the College and across campus. Learn more below. Dr. Bruce Kingsbury is Associate Dean of the College of Arts and Sciences and professor in the Biology Department at Purdue University Fort Wayne. He came to IPFW in 1992 after obtaining his Ph.D. from the University of California Riverside. Prior to becoming Associate Dean, he served two terms as Chair of Biology. Bruce and his students, the K-Team, conduct research on the ecology, behavior, and conservation of wildlife, especially imperiled reptiles. His work has been supported by nearly three million dollars in external grants, and has resulted in numerous publications and presentations. Dr. Kingsbury also directs the Environmental Resources Center, or ERC, one of the university’s Centers of Excellence. The mission of the ERC is to promote the understanding and conservation of our natural resources. 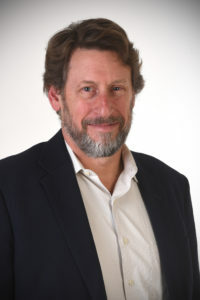 In 2018, Bruce received the Outstanding Research Award, the university’s highest award for research, and was named a Fellow in the Indiana Academy of Sciences. In 2017, he was awarded the Lowell W. Beineke Medal, the highest honor in the College of Arts and Sciences.